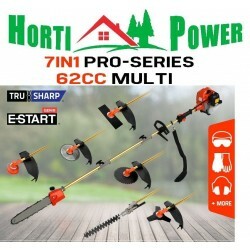 Loaded with attachments, including an exclusive alloy blade, this 7-in-1 Multifunctional Garden Tool by Horti Power is the ultimate gardening machine. 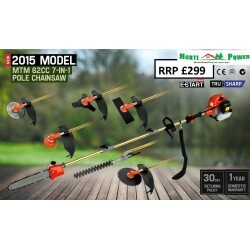 The adjustable extension pole will help you tackle all hard to reach branches and tall hedges with the class-leading power of its 62cc engine. 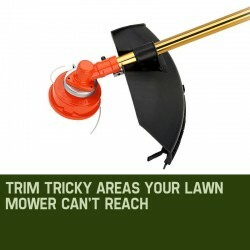 It adds to a great list of features such as an auto chain lubricator, adjustable chain oil feed and 'Easy Start System' to make a great multifunctional machine. 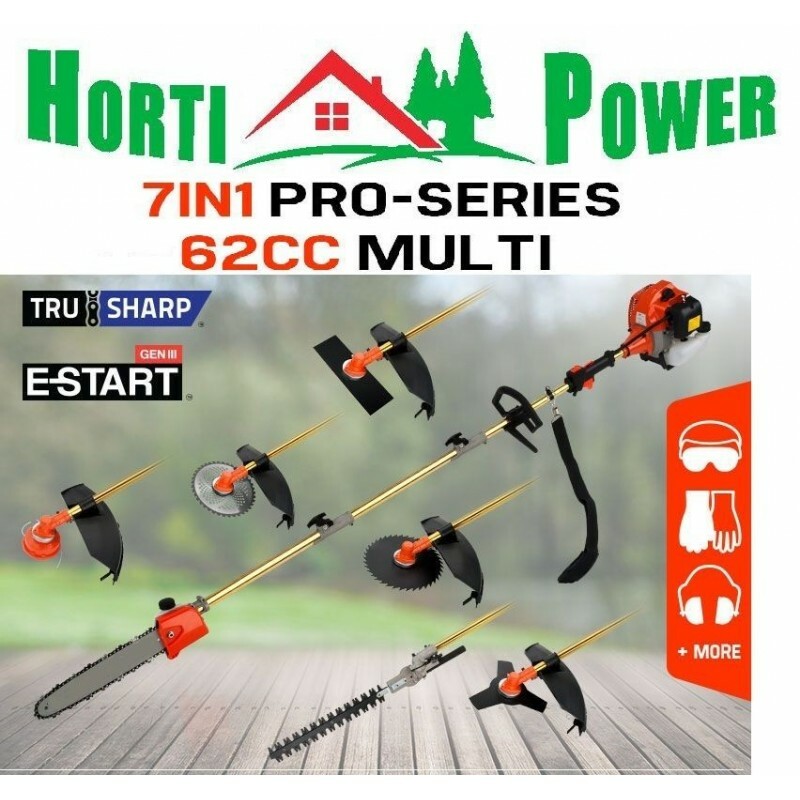 Utilising premium gold anodized commercial alloy, this Horti Power machine features commercial grade quick connect couplings equipped with dual ball-bearing floating centres. 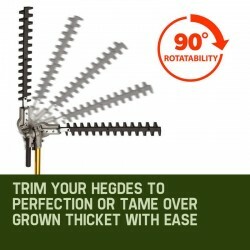 While its extensions reach from 2.3 up to a massive 5.2 metres, genuine commercial nine spline fastening ensures maximum stability – a guarantee that you can safely tackle any hard to reach branch. 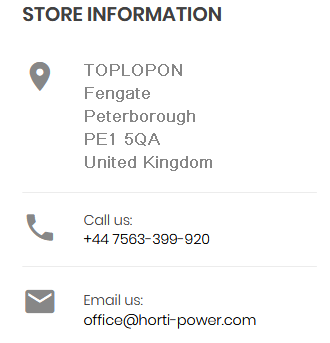 Built tough, this amazing tool equals high quality and efficiency. Buy now this amazing package which comes loaded with a bonus accessory kit, including protective goggles, gloves, earmuffs, mini toolkit and fuel mixer. 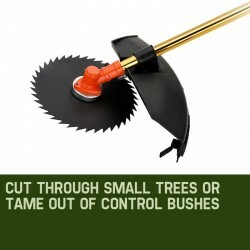 With this multifunctional machine, cutting branches and tall hedges can be made in no time and with less effort!